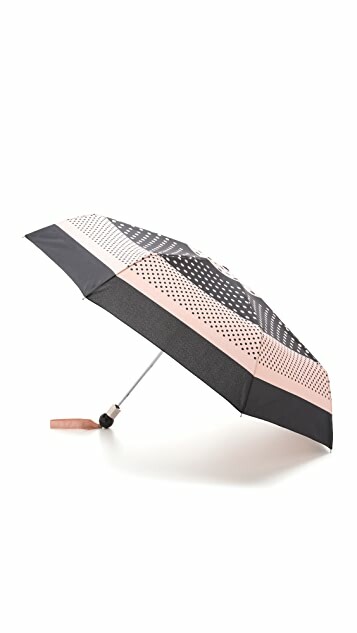 A Marc by Marc Jacobs umbrella in a polka-dot print. 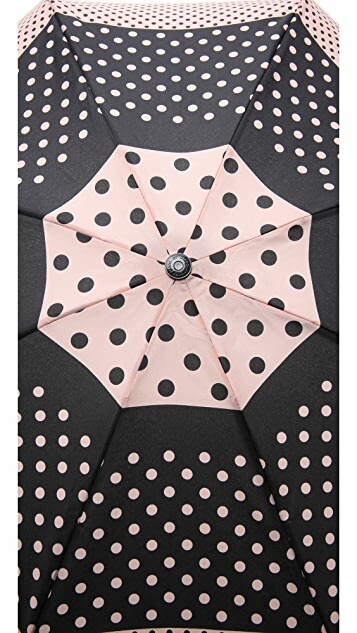 A push button releases the telescoping shaft, and an embossed logo details the handle. Wrist strap. Sleeve included.